Have to write a toast to the bride and groom and can't come up with a good script? 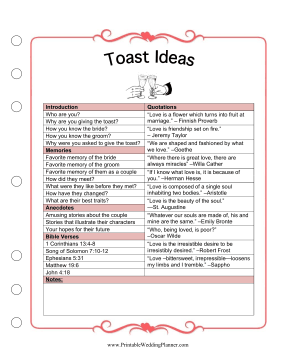 Jump-start your best ideas, anecdotes and memories with the Wedding Planner Toast Ideas sheet. Answer questions and choose from listed quotations.